The Medical College Admission Test, এছাড়াও MCAT নামে পরিচিত, প্রত্যাশিত মেডিক্যাল শিক্ষার্থীদের জন্য একটি খুব ভয় দেখিয়ে এন্ট্রি পরীক্ষা. ঔষধ খুব জটিল এবং সূক্ষ্ম ক্ষেত্রের একটি প্রত্যাশিত ছাত্রের পূর্বে জ্ঞান মূল্যায়নের ছাড়াও, this test has the secondary purpose of attempting to predict a student’s success in medical school. For these reasons, a great deal of pressure is on MCAT takers to succeed, with their future seemingly hanging in the balance. Because the MCAT is so intimidating, the vast majority of aspiring medical students will enroll in a comprehensive test prep program that will help them prepare for the exam. 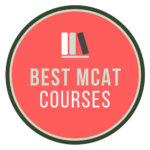 দ্য best MCAT prep courses are rigorously paced and geared toward covering material found on the exam and the best MCAT study materials are intended to function as a training tool to help students acclimate to the testing environment. Since these courses are very expensive and time-consuming, it’s preferable to avoid retaking courses due to an inability to pass the MCAT on one’s first try. The substantial time and money cost associated with retaking has driven students to be very selective as to which prep course they want to enroll in, since a better course will increase their chances of passing. 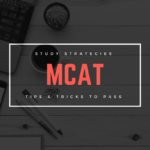 For the benefit of these students, this article will compare the study materials, costs, and specific strengths of the two most popular MCAT prep courses: কাপলান MCAT and The Princeton Review MCAT. অন্যান্য MCAT ভেতর কোর্স ওভার প্রিন্সটন পর্যালোচনা নির্বাচন সবচেয়ে উল্লেখযোগ্য সুবিধা হল তাদের পাঠ্যক্রম অধ্যাপনা নিবেদিত পরিমাণ এবং প্রশিক্ষক মান হয়. এমনকি সর্বনিম্ন মূল্য নির্ধারণ করা প্রোগ্রামের উপর, 4 থেকে 6 প্রশিক্ষক প্রতিটি পরীক্ষার একটি ভিন্ন ধারার আচ্ছাদন সঙ্গে পাওয়া যায়. এই প্রশিক্ষক তাদের ক্ষেত্রে বিশেষজ্ঞদের এবং একটি নির্দিষ্ট বিষয়ের মধ্যে একটি বিশেষজ্ঞ জ্ঞান প্রদান তাদের ক্ষমতা জন্য নির্বাচিত করা হয়. প্রিন্সটন পর্যালোচনা লাইভ অনলাইন কোর্স ছাড়াও, all other MCAT prep courses offered by this company feature a significant amount of classroom time. The most popular course, known as the Princeton Review MCAT Strategy, involves 44 hours of classroom time: an amount much higher than its competitor Kaplan. They also offer a much larger Ultimate course that has nearly triple the amount of classroom time at roughly 123 ঘন্টার. 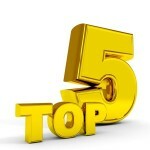 While the materials offered by the Princeton Review are of a very high quality, they come at an equally high price. 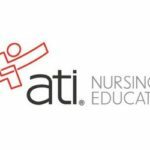 The least expensive package, referred to as a self-paced study course, comes with a staggering price tag of close to $2,000. The standard Strategy course costs around $2,300, the Ultimate course costs around $2,800, and their six week Summer Boot Camp costs almost $7,000. কিন্তু, all of these prices pale in comparison to the astronomical $11,000 needed to enroll in their 60-hour Private Tutoring program. 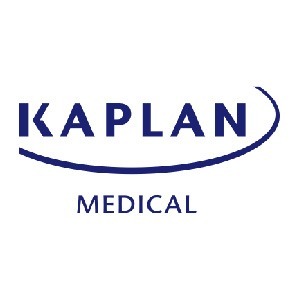 Whether a student takes the Kaplan MCAT Live Online Course, an In Person course, or a one-on-one tutoring session, they are still given access to Kaplan’s MCAT Complete 7-Book Subject Review. Along with several practice tests and video lectures, this package contains over 10,000 অনুশীলন প্রশ্ন. This MCAT study program is priced extremely high for a reason. 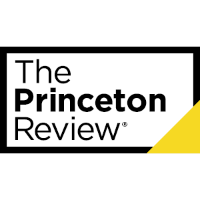 With the robust staff of experts available to assist students with every facet of the exam, Princeton Review offers the best MCAT prep courses hands down. While emphasizing quality over quality, তাদের গবেষণায় প্রোগ্রাম এখনও নিশ্চিত করার শিক্ষার্থীদের পরীক্ষার উপর উপাদানের একটি কঠিন কাছে আছে যে যথেষ্ট উপাদান অফার. তদ্ব্যতীত, তারা প্রত্যাশিত ছাত্র যারা তাদের দাম দেখে ভীত হয় বিচার দায়রা প্রস্তাব. 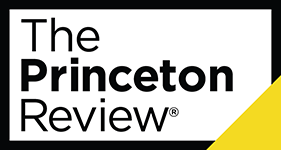 For these reasons, it is recommended that students pick The Princeton Review over Kaplan for their MCAT test prep needs.